Does osmosis take place in prokaryotic cells? 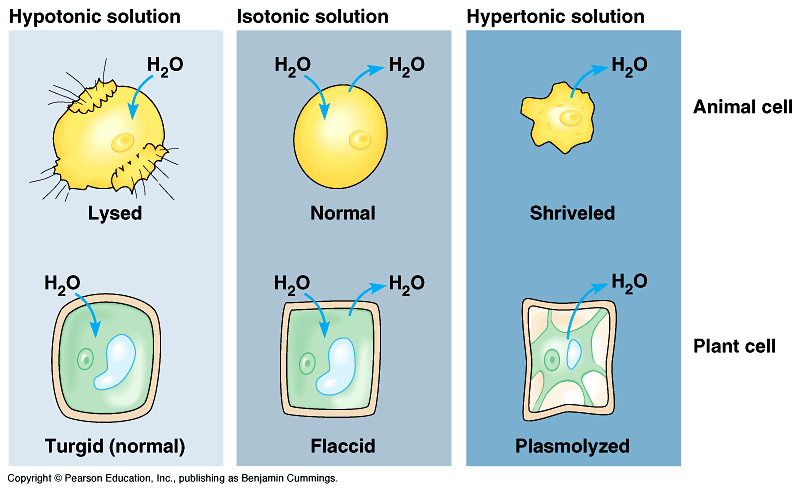 As far as I know, osmosis occurs in Eukaryotic cells, and I'm wondering if it could take place in prokaryotic cells too. The force driving osmosis exists in any system with an imbalance of solute molecules across a semipermeable membrane. Think of a concentration gradient as an electrical potential, where high concentration is negative charge and low concentration is positive charge. In the case of electricity, its the magnetic force which causes the interactions leading to charge equilibrium. In osmosis, there is no communication between solute molecules by an 'osmotic force'. Osmosis is a result of entropy. In chemistry, a separation of solute concentrations is called a chemical potential. As entropy increases in the system, this chemical potential is decreased, either endo or exothermically. Here's a chart showing the change in heat for the dissolution of substances. Negative numbers mean a system loses heat (enthalpy) and is exothermic. Cold packs use ammonium nitrate, which absorb heat as they are dissolved in water. The processes of osmosis, entropy are fundamental to our universe, not to a specific domain of life. Thanks for contributing an answer to Biology Stack Exchange! Not the answer you're looking for? Browse other questions tagged osmosis prokaryotes or ask your own question. What happens to the red blood cell in CaCl₂ solution? When does DIFFUSION occur and not OSMOSIS, and the otherwise? Do all prokaryotes have ATP synthases and an electron transport chain? What would kill you first water or cola? Why is ethanol osmotically active if it can enter through the plasma membrane easily? Why does blood come out of leach when salt is put on it? How to translate "red flag" into Spanish? An octave chord is not a real standard concept? Contradiction proof for inequality of P and NP? What is purpose of DB Browser(dbbrowser.aspx) under admin tool? What is the least dense liquid under normal conditions? Can we hide a text first in a picture and then hide that image again in one more image?